Hillary Clinton's campaign overreacts to slightly negative Bernie Sanders' ad. Bernie Sanders waits as Hillary Clinton walks on stage at Saint Anselm College Dec. 19, 2015 in Manchester, New Hampshire. Think what you want about the political merits of those attacks—personally, I think the first is sound and smart; the latter, a gamble that could backfire badly—but clearly these are not the actions of a long-time front-runner who loves how things are playing out at the moment. And in case you needed an Exhibit C to be convinced further, the Clinton campaign went ahead and provided it Thursday afternoon, when they cried foul on a relatively mild Sanders television spot that they say breaks his pledge to never go negative. “People should be held accountable for their words,” Joel Benenson, Clinton’s chief strategist, complained during an afternoon press call organized by the campaign specifically to discuss a commercial that might have otherwise gone unnoticed. Later, when asked whether he was feigning outrage over something that isn’t actually a big deal, Benenson responded by … saying that the ad isn’t actually a big deal? “I think it makes it a fair question to put on the table,” he said. “I don’t think that’s outrage.” Either way, it looks a whole lot like worry. 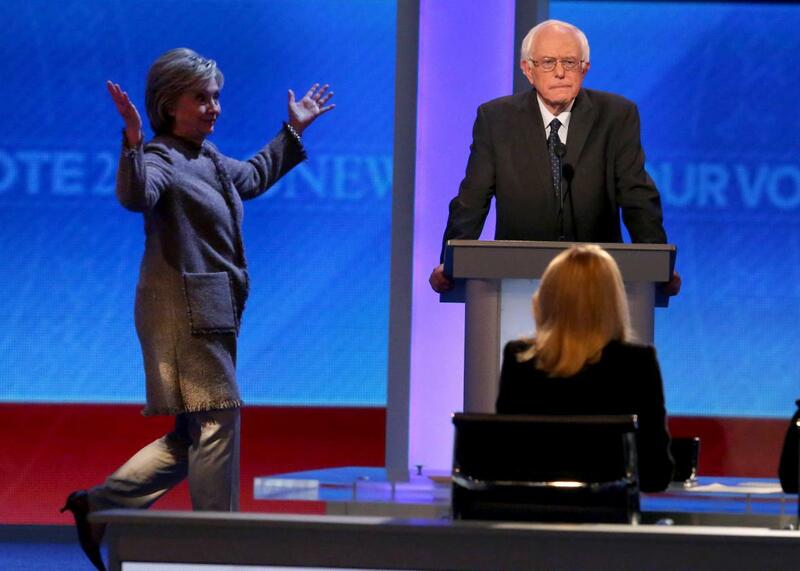 Previously on the Slatest: What Happens if Bernie Wins Iowa and New Hampshire?